You’re on it. Your kids are on it. We’re all on Instagram. But does your business or brand need to be on it too? That’s the big question haunting a lot of mini-op retailers, small-budget marketers, and DIY brand advocates these days. Surely, with over 400 million active users, Instagram is a dynamic social media platform. Yet, many are still avoiding the photo-share app citing confusion over functionality, or simply misunderstanding the advantages of using Instagram as a marketing tool. Officially released in late 2010, Instagram didn’t start out as a prime place for marketers and business owners to showcase products, tell brand stories or convert consumers, but after 6 years in action, the app—known firstly for art-y photos, selfies, and food pics—has evolved. Dramatically. Today, it’s one of the most promising up-and-coming digital spaces to reach young consumers (90% of ‘gramers are under 35), showcase products or ideas (Instagram is expected to surpass both Twitter and Google in US mobile display ad revenue by 2017), and tell quick, to the point stories that support your brand’s mission or persona. The platform’s one shortcoming? It’s not always so easy to figure out “how to do” Instagram the right way, especially when user functionality keeps changing. 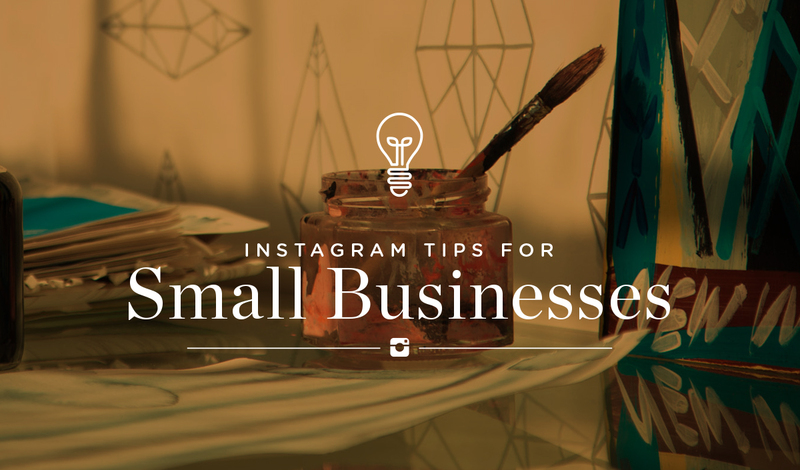 Below we’ll highlight some of the biggest Instagram do’s and don’ts in order to give you an idea of what it takes to make this social channel work for your, your brand, or your business, especially if you’re your only social media marketing resource. But first, we must highlight a few major changes in the world of Instagram. This change scared the bejesus out of marketers and social media specialist, world wide. Why? Because for professionals using Instagram to promote a brand, the new algorithm spells out a real threat of becoming irrelevant to followers whom may not “like” posts, challenging a brand’s visibility, and therefor its influence and reach to potential consumers. It looked bleak for a moment. BUT THEN, in early August, Instagram made another major change to its feed features, and this one is likely to be a big benefit to marketers, potentially restoring some of the lost advantages of using Instagram as a marketing tool. It’s called “stories,” and the new feature borrows almost completely from the Snapchat’s original feature (also called) “stories.” If you’re not familiar, BuzzFeed sums up the new tool nicely: “[Stories] will let people post pictures and videos that disappear after 24 hours, and never appear in the main Instagram feed.” This feature, once again, puts brands up front and center on consumers’ Instagram feed. The potential for exposure is high (as long as you’re willing to put in the time) because the more one posts to a “story” the more relevant one’s brand is to consumers using the app. So, what does this all mean for you and your brand? Simply put: engagement has become a very, very important part of maintaining a presence on Instagram. Before you even create an account—and even if you already have one up and running—decide what you want the overall personality of your feed to be like, sound like, and look like. If you’re a lifestyle brand and you want to focus on positive messaging, make sure everything you post–including your “stories”–is relevant to that grander, overarching vision. Whether it be in the image, the copy block or the hashtags, the point is to keep things congruent. People like Instagram feeds that produce a particular style of content that. Too much divergence and you will lose your audience. For examples, check out how some the brands we work with have successfully aligned their mission, images, and voice in a clear, user-friendly way. And check out this article for examples of accounts (or individual photos) that are, well, not quite there yet. Including Martha Stewart, who apparently takes terrible food photos! When it comes to photos, most “best practice” suggestions recommend posting twice a day (once in the am and again later in the day, or at night) for smaller brands and businesses. The objective is to keep followers engaged with–but not annoyed by– your messaging. As it’s been noted time and again, there’s nothing more infuriating to most users than a hijacked feed or a string of similar post by the same person, brand, or third-party. Yes, it’s important to have a presence in order to reap the benefits of Instagram (especially now with the app’s latest update), but overwhelming your followers is a sure-fire way for them to “unfollow” you. Immediately. UNLESS you’re using the new “stories” application. In that case: the more the merrier. So if you’re driven to post a lot of photos, maybe reconsider and just take video or add photos to your “stories” instead. Lastly, if you’re at all unsure of appropriate Instagram edict, and you want to check yourself, read over this BuzzFeed test for a good list of the most common Insta-crimes. Unfortunately, and when it comes to Instagram, this statement couldn’t be more true. The app isn’t know for it’s depth so keep your post simple, relevant, and/or image forward. Try and approach the platform with an “every image counts” mentality. Think of it like reading a book by chapter title alone; a single image doesn’t have to tell the whole story, but, and as stated above, it should include elements important to your business or brand’s overall mission or messaging. After all, it is just a photo sharing app. And it all boils down to good photography! If you don’t have a natural eye, make sure you put a little effort into developing one… or find someone who does and enlist their help. Hashtags, like SEO keywords, are best kept to searchable words and phrases that are popular, but not too popular. Example: instead of using the hashtags #Saturday #morning #breakfast with a picture of eggs and bacon, try #Saturdaymornings, #Saturdaymorningbreakfest or #baconandeggbreakfast. What’s the difference? Well. There are over 33 million photos with the hashtag “Saturday.” In contrast, there’s only 180,000 sporting the hashtag Saturdaymornings, 8,000 with Saturdaymorningbreakfast, and a very skinny 28 tagged #baconandeggbreakfast, which means the photo with the latter three tags are more likely to be found organically by users actively looking to engage, then the former tag, which, on the other hand, will be buried alive. Never to be seen or heard from again. A little research in this area will go a long way. Find out what hashtags will be most effective for your brand by conducting your own organic searches, and check out this useful list for industry insider suggestions. Now that Instagram has introduced an algorithm to inform how it presents content to its users, it’s of the utmost importance to pay attention to what’s working and to what isn’t. This may take some time, but it’s worth it. Notice which of your photos get the most love and try to keep to a similar theme. You don’t have to replicate that exact post, but if there is a particular image that goes noticed (or conversely, largely unnoticed) try to stick to (or stray from) that formula. Additionally, aim for user engagement. Pull people in with smart, researched hashtags. Highlight products in an attractive way. Offer previews, “sneak peeks,” exclusives, behind-the-scenes photos, and feature new collections, promotions and events, regularly. Studies have also show that regramming customer photos is a great way to boost engagement and win follower loyalty. If someone has tagged you, or used a hashtag you created, make sure to acknowledge them and even consider regraming their photo (just make sure you give credit). Stick to these and you should be on your way to more followers and a larger Instagram fan base. What’s your experience with Instagram marketing? Let us know in the comments below!